Every village in France has its ‘dechette’, or recycling point, where you can get rid of your old newspapers, an alarming number of empty wine bottles and, of course, plastic packaging. 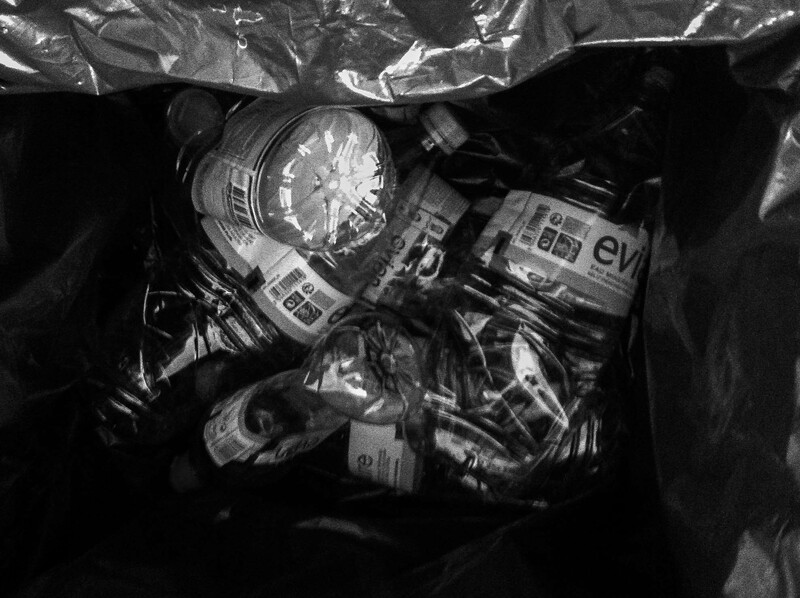 Good citizens that we are, we sort out our own recycling and take it to the dechette on a regular basis. This is the sack for empty plastic bottles. Posted in response to Cee’s latest Black & White Photo Challenge.